[Telegraph] The future of bmibaby and bmi Regional is in doubt after International Airlines Group completed the takeover of parent company bmi but admitted it does not want the company’s low-cost and domestic businesses. IAG, the owner of British Airways, said on Friday that bmibaby and bmi Regional “will not be integrated” into the company and it “will pursue options to exit these businesses”. Trade union Unite warned 800 jobs are at risk and urged IAG to seek a “viable buyer” for the businesses. “BA must do everything possible to give these two businesses and the workforce a long-term future in the UK aviation industry,” said Oliver Richardson, Unite national officer. IAG has already warned that 1,200 jobs will be lost of part of the integration of bmi mainline, the long-haul division, into BA. The company agreed a £172.5m deal with Lufthansa for bmi, but this included a sizeable discount in the event the German airline could not sell bmibaby and bmi Regional before the takeover was completed. Analysts believe the discount, which will be finalised in June, could be as much as £80m. IAG said the price reduction will offset the costs of operating and then exiting bmibaby and bmi Regional. German company Intro Aviation and Dublin-based charter carrier ACL were linked with a bid for bmibaby, but a deal could not be struck. Loss-making bmi is made up of three divisions – a traditional airline serving Europe, the Middle East and African, bmi regional, serving the UK, and low-cost unit bmibaby. Read the full story at The Telegraph…. [Telegraph] British Airways will pay just half the £121.5m fine it initially agreed to settle the long running Office of Fair Trading investigation into price fixing. The reduced £58.5m fine comes after protracted negotiations between the airline and the OFT over allegations it colluded in price-fixing with Virgin Atlantic. Sir Richard Branson’s airline escaped punishment after blowing the whistle on the activity. The reduced fine comes two years after a criminal case brought by theOFT against four former and current British Airways executives collapsed. It also follows a number of cases at the Competition Appeal Tribunal dramatically reduced fines handed by the OFT on separate cases. Sources close to the OFT said the decision to reduce the fine from the figure agreed with BA in 2007 is a reflection of decisions taken by CAT and changed economic environment. Ali Nikpay, OFT senior director of cartels and criminal enforcement, said: “The size of the fine underlines that it is important for companies to take steps to ensure that they have an effective compliance culture. The fine would have been higher still but for the co-operation provided by BA throughout the OFT’s investigation. Read the full Telegraph story here…. (Reuters) – Several international operators have expressed interest in the privatization of Portuguese airline TAP, its chief executive Fernando Pinto said on Tuesday, attracted by its fast-growing routes to South America and Africa. "I cannot give names but what I can say is that the privatization is generating great interest," Pinto told journalists. Portugal’s government has promised to privatize TAP, possibly this year, under the terms of a 78 billion euro ($102 billion) European Union/International Monetary Fund bailout. International Airlines Group (IAG) (ICAG.L), formed by the merger of British Airways and Iberia, said in October it would look at TAP when the Portuguese government starts the formal sale process, its Brazilian routes being of particular interest. “Besides IAG, others have shared with us their interest but, because they did so unofficially, we cannot name them,” the TAP CEO said. “The main interest is the Lisbon hub, it was thanks to this geographical position that TAP has achieved everything”. TAP’s slots at Lisbon airport provides access to Africa and both North and South America and have allowed the company, which covers around 75 routes in 34 countries, to become the leader in air travel between Europe and Brazil. Pinto added that it will be up to the Portuguese government to decide if it wants to privatise the whole company or just part of it. Read the full story at Reuters…. Deutsche Lufthansa AG (LHA) is struggling to offload discount airline BMIbaby, potentially reducing proceeds from the sale of its entire U.K. business to British Airways parent IAG. German turnaround specialist Intro Aviation GmbH, which had expressed an interest in BMIbaby, has ended talks, Managing Director Peter Oncken said in a e-mail. Charter carrier ACL has also dropped plans to make a bid, said a person familiar with the matter who declined to be identified discussing private talks. IAG, or International Consolidated Airlines Group SA (IAG), agreed in December to pay 172.5 million pounds ($274 million) for BMI, while negotiating a “significant” discount should Lufthansa fail to find a home for the no-frills operation. The acquisition won European Union clearance on March 30, and London-based IAG is aiming to complete it by April 20. “Lufthansa rejected a non-binding offer from us, rendering further discussions redundant,” Oncken, who founded Intro with German retail entrepreneur Hans Rudolf Wohrl, said in an e- emailed response to questions, adding that his company could resume talks with IAG after the takeover. Like Intro, Dublin-based ACL signed an agreement allowing it to examine BMIbaby’s books, but isn’t currently considering an approach, according to the person familiar with its plans. Calls to the company weren’t returned. BMI spokeswoman Katherine Hill said talks remain “ongoing” with potential buyers for BMIbaby, which has its main base at East Midlands airport between the English cities of Derby and Nottingham, reiterating comments from British Airways last week. Claudia Lange, a spokeswoman for the German company, referred all enquiries to BMI…. Read the full Bloomberg News story here…. Emergency landings aside, it’s not Gatwick but Heathrow that’s giving Sir Richard Branson such a pain in his undercarriage. The Virgin king’s got all revved up over how air traffic control in Brussels has simply “waved through” the takeover of bmi by British Airways-owner International Airlines Group. He’s spitting decibels that the deal lifts BA’s share of Heathrow’s take-off and landing slots from 45pc to 51pc, dwarfing lil’ ol’ Virgin Atlantic’s 3pc. True, IAG now has a big chunk of a congested airport. But Branson’s only got himself to blame for that. Over the past decade, he’s had enough flypasts at bmi to stop what’s just happened. But he’s refused to put his money where his mouth is. Taxi back to 2003 and you find Branson in merger talks with bmi’s then owner Sir Michael Bishop (now Baron Glendonbrook). The idea was to put Virgin’s long-haul business together with the largely short-haul Bmi – the then owner of 14pc of Heathrow slots – to create a proper competitor to BA. Although always hard to tell with Virgin, Branson should have had the cash to deal, having already taken £600m out of his carrier by somehow cajoling Singapore Airlines to stump up for a 49pc stake. That was an aviation deal only rivalled in its chutzpah by Bishop, who skewered Lufthansa into paying £223m in 2009 for his majority holding in the loss-making bmi. Bishop’s sale presented Virgin with a fresh opportunity to grab bmi and its slots. Indeed, Lufthansa gave Virgin first run at it – before the German carrier got bored waiting for Branson to produce anything resembling the readies, and turned to BA…. British Airways owner IAG has said its deal to buy the BMI airline from Lufthansa for £172.5m could result in the loss of up to 1,200 jobs. The announcement came as BA began consultations with unions on plans to integrate BMI into its operations. IAG, which also owns Spain’s Iberia, will gain 56 more slots at Heathrow airport as part of the deal. The sale was announced in December and regulatory approval was granted by the European Commission on 30 March. The deal is expected to take effect on 20 April, IAG said. BMI employs more than 3,600 staff, but reported a £153m loss in the year to 2010. Based in Castle Donington in Leicestershire, it operates flights to Europe, the Middle East and Africa. It has 8.5% of the landing slots at Heathrow, the UK’s busiest airport…. Hot on the heels of the news last week, that EU Regulators had approved the sale of Lufthansa owned beleagured airline BMI to British Airways, new codesharing details have been released just today. Starting tomorrow (5th April 2012), British Airways have announced that codesharing will start on selected BMI services. Approval was granted by EU Regulators last week for the purchase of BMI by BA’s parent company IAG to proceed but conditions were inposed or offered. BA conceeded to teh sale of 14 Bmi slot pairs to it’s competitors. Completion of the deal is likely to conclude by 20th April. 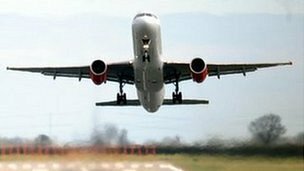 Air passenger duty (APD) has risen by 8%, as announced by the government in the Autumn Statement last year. For short-haul flights, the tax has increased from £12 to £13. For long-haul flights of more than 4,000 miles, it has gone up from £85 to £92. In light of the increase, airlines called on the Treasury to review the impact on “hard working families”. A Treasury spokesperson said the majority of passengers will only pay an extra £1 as a result of the rise. Also as of 1 April, corporation tax in the UK falls by 1% to 24%. The changes in APD will also see it extended to private business jets for the first time. In a joint statement the bosses of Easyjet, British Airways owner IAG, Ryanair and Virgin Atlantic said the increase would “hit millions of hard-working families and damage the wider economy”. “We urge [Chancellor] George Osborne to make APD the first tax to be examined under the Treasury’s new review of the wider impacts of taxation on the economy,” they said. They added that further planned rises in the tax before 2016 would mean a family of four paying £500 in tax to fly economy class to Australia. In 2005, they said, the same family would have paid £80. The business group the CBI has also called for a lower rise in APD. The government defended the rise by saying it had frozen APD last year. “The majority of passengers will only pay an extra £1 as a result of the rise,” a Treasury spokesperson said…..
International Airlines Group (IAG), is considering buying a stake in Japan Airlines (JAL) amid expectations the Asian carrier will re-list on the Tokyo stock exchange later this year. It is believed JAL, which de-listed in 2010 after it was forced to file for bankruptcy protection, will seek to raise at least ¥500bn (£3.8bn), but potentially as much as ¥1 trillion, through an initial public offering. The Japanese airline underwent a major re-structuring after receiving a state bail-out in early 2010, which saw it cut routes and axe about a third of its workforce. It is believed other members of the Oneworld alliance group of carriers may also seek to take a stake in JAL…. Full story from The Daily Telegraph here…..
International Airlines Group plans to use some of the 42 extra Heathrow slots gained from its takeover of bmi to increase British Airways’ exposure to Asia, after the deal was approved by the European Commission. The EC gave IAG, which owns BA and Iberia, the green light on Friday after the aviation giant agreed to give up four more pairs of take-off and landing slots than the 10 originally put on the negotiating table. Among the 14 pairs of slots relinquished are seven that have to be used to operate routes between Heathrow and Scotland. The extra slots will be passed to a trustee appointed by the EC before being auctioned off to rival carriers. He said the deal would secure “the maximum number of jobs possible in the company” but he warned: “I make no secret of the fact that there will inevitably be some redundancies”. Lufthansa had signalled it would shut loss-making bmi had the acquisition not received EC approval. IAG will operate bmi’s summer schedule but Mr Walsh said he then intends to use the slots to expand BA’s long-haul network, including flights to parts of Asia where the flagship carrier does not currently serve. Friday night’s decision from the EC avoided the possibility of a lengthy “phase two” investigation, although the takeover could still be delayed if Sir Richard Branson’s Virgin decides to pursue an appeal. A spokesman for Virgin said: “We are very concerned that a deal of such significance has been waved through with very little regard for the flying public. “The last-minute remedies offered this week by British Airways were not shared with the industry and they have not been subject to a detailed assessment…..
Full story from The Telegraph here….